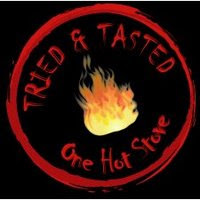 This month, Nupur's One Hot Stove is in the spotlight for the Tried and Tested event. Nupur has a mouth watering array of recipes on her blog and it was a hard choice to make while cooking for this event. I finally decided to make the Sabudana Thalipeeth, something I have never eaten before. You can find the original recipe here. Soak Sabudana for 4 hours, till its soft. Drain the water and reserve in a bowl. To this add the mashed potatoes, chopped roasted peanuts, cumin seeds, green chillies, cilantro and salt. Combine. In a non stick skillet, heat a tbsp of oil. Make golf sized balls of the mixture and pat on an oiled plastic sheet or foil. Roast in the oil on both sides, till crisp. These tasted good by themselves so I didn't bother making an accompaniment. It was absolutely lip smacking!!! Thanks Nupur for a wonderful recipe. This is off to Zlamushka over at Zlamushka's Spicy Kitchen. am back after ages here... this looks beautiful. That has come out so well, Namratha!! Looks delicious. Very nice entry Namratha, Thalipeeth looks delicious!!! Hi Nami, visited ur blog after a long long long time and just realised how much I 've missed..
thalipeth looks fantastic, I also havent had it yet. I can only imagine how good it was. Thank you for your sweet entry, July´s challenge is up and announced, if you are interested.